Before we really get started here, I want to briefly talk about one of my favorite animated series: Neon Genesis Evangelion. First airing in Japan during the mid 90's before coming to America in the early 2000's. Spanning a twenty-six episode series, an OVA, a fourteen volume manga run, five theatrical films, and mountains of other licensed goods Eva is a heavy-weight when it comes to anime. While not as relevant or prolific as the likes of shounen staples such as Dragon Ball, Naruto, and One Piece, Evangelion is still a household name. On the surface it appears to be your cut-and-dry Mecha/Super Robot series. A group of adolescents pilot giant robots to save the day. Upon watching the series, it becomes clear that this is anything but your average Super Robot series. Evangelion focuses more on character drama and motivations instead of robot fighting action. Every character has a major flaw, and nothing is quite what it seems. 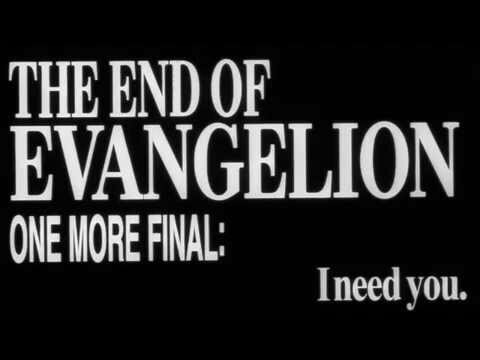 Questions add up throughout the run of the series and it is not until the first theatrical movie, The End of Evangelion, that the audience got a proper definitive end to a series that caused a shake up upon its run. Evangelion would come to be known as a deconstruction of the Super Robot genre. To clarify, a genre deconstruction is a work where the tropes of said genre are often played straight and do not shy away from any consequences that may result. Evangelion shows that using fourteen year old children to pilot giant robots against Eldritch Horror monsters for the sake of humanity can be very traumatic. This brings us back to Bloodborne. I realize I'm quite a bit late to the party of writing about Bloodborne. After all, the game came out in March of 2015. It did rather well and is still one of the most talked about PlayStation 4 exclusives. A game developed by the Japanese FromSoftware, Bloodborne is an Action RPG made as a spin-off of FromSoft's flagship series: Dark Souls. It doesn't take too keen of an eye to see the similarities between Bloodborne and its genetic predecessor. Both games on the player's silent character fighting many forms of man, beast and monster running the gamut in size from small to Godzilla proportions. They share many elements of the User Interface and different in-game mechanics as well, giving a sense of familiarity to those who have played any of the Souls games. That being said, we are not here to talk about what these two games have in common. Rather, I would like to talk about what makes these two games different. The most obvious is the setting. Souls games take place in a medieval dark fantasy world whereas Bloodborne is set closer to a Victorian England. Beyond that, Bloodborne is a much faster paced game which pushes you to be aggressive with your attacks, all the while being incapable of blocking an enemy attack. More specifically, I feel the narrative of Bloodborne is what truly sets apart the two games, and that is what I want to focus on. Any person who has played this or a Souls will know that FromSoft's games dont generally shed a lot of light onto the story of your character, instead trickling information to you through various NPCs and descriptions of Items you pick up. It is through these that we can piece together the story of Yharnam, and the Hunters. As I began laying it all together, I began to realize that Bloodborne is awash with many mysteries, often leaving me with just more questions instead of answering the ones I already had. This is the point I began looking at Bloodborne is a much different light than I did any of the Souls games. Having read every item description and exhausting all NPC dialogue as I progressed through the game, I found myself asking more and more questions. The world of Yharnam became stranger as my character gained insight, and I began to see things that were not there before, or so I had thought. The game began showing roots in Lovecraftian horror, and I began to realize a lot of the world's inhabitants had a quirk of either blinding themselves or covering their eyes. To my knowledge, there is no explanation for this in the game. Short sentences began to reference beings called Kin of the Cosmos, Eldritch knowledge, how blood was what the people of Yharnam craved. I watched as some of these people, Hunters, began to be driven mad by the blood. Some became hostile towards me, wanting my blood for themselves to grow even stronger. The earliest example of this being the encounter with Father Gascoigne early in the game. Others simply lose their mind to the despair of the Hunt, believing things to be futile. There have been several moments throughout my playtime of Bloodborne where I have taken my hands off of the controller whether the result of an NPC conversation, reading more insight into the world and the story, or an encounter with a boss, and asked myself audibly â€œWhy am I here? Why am I participating in the Hunt? Why are the people of Yharnam and Hunters alike driven mad by the blood? What are the Kin of the Cosmos?â€ These questions are what drive me to play the game and explore. Compare this to any Souls game, where your objective is rather clear. Ranging from link the fire to start a new cycle of the world to escaping the curse that you bear. I never end up questioning why I do what I do. It feels like something I must do, whether for the good of myself or the good of the world. Couple this with the difference of post-boss messages, Dark Souls III giving you â€œHeir of Fire Defeatedâ€, and Bloodborne giving you â€œPrey Slaughtered.â€ You begin to realize there is much more difference between the games than simply their setting and mechanics. 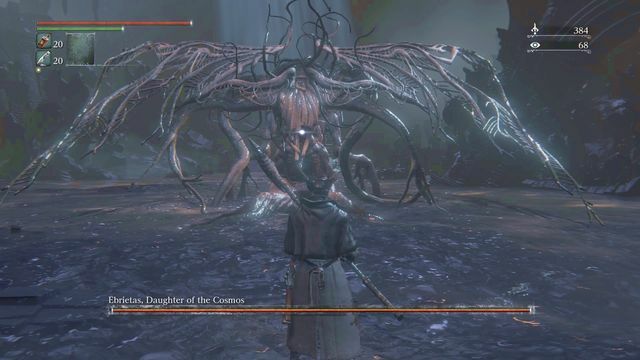 Because Bloodborne is pushing me to ask these questions while I'm playing, and thus becoming my driving force to explore and learn as much as I can about the world, the Hunters, the Oldblood, the Vileblood, the Paleblood, and many other things, I feel like it is a deconstruction of Souls games. Instead of giving you a clear cut quest to push towards such as linking the fire, you are thrust into the middle of an event you know nothing about and have no clue what your true goal is. Only that you must hunt. Never before has a game actually made me stop and question what I'm doing, or strive to piece together every last bit of information about the world that I can find. It is for these reasons that Bloodborne is becoming one of my personal favorite games of all time.